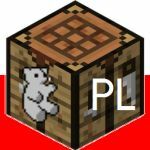 Copyright (c) 2016 Michał Kewin "MisiekCraftPL" Sołowiński. All rights reserved. No permission required for republishing. Licensed under Creative Commons "Attribution 4.0 International"